Posture is one of the core principles of jiu-jitsu. Proper posture will keep you safe from submissions and sweeps. In order to open the guard from the knees you must first develop the ability to maintain posture without using your hands. If you’re relying on your hands to help maintain your posture you can’t use them to help you break, therefore you’re forced to stand to open. This is the first drill all students should be taught from inside the guard because it’s the foundation for helping you open the guard, whether from the knees or standing and also your first line of defense. Every attack from the guard requires the person to first break your posture. Kimura, Cross Collar Choke, Triangle, Arm Bar, Guillotine are all neutralized with this one skill. 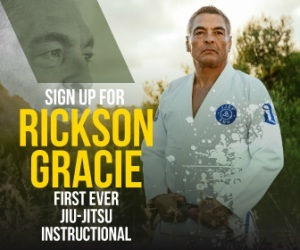 In this backstage video, captured by a cell phone during the shooting of Rickson Gracie’s course, Self.Defense.Unit online course, master Rickson demonstrates a few invisible details that will improve your posture when passing guards.